Frank oversees company and client strategic direction. He has more than 25 years of marketing and advertising experience. Frank’s ability to identify emerging technologies, key marketing drivers and use that knowledge for developing innovative marketing communication solutions for our client’s brands has been demonstrated time and again. His dedication and passion clearly stand out on any initiative he undertakes. Prior to joining CL&S Frank was with Messner Vetere Berger McNamee Schmetterer/EURO RSCG (MVBMS) where he started the agency’s interactive group in 1995. 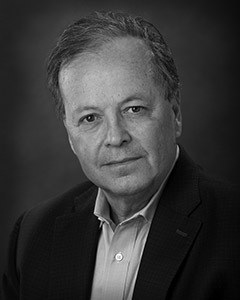 "Frank is one of the genuine pioneers in digital communications," said Tom Messner, founder of what was the first agency to create an integrated (TV-Print-Internet) campaign in 1994.”Frank D'Angelo led that effort for MCI that started the communications revolution that changed our entire industry." Franks industry firsts are numerous: He led the development of the first branded web sites for MCI, Volvo, New Balance, Club Med and 1-800-COLLECT; He was the first person to place “banner” ads on the web when he negotiated ad space for Volvo, Club Med and 1-800-COLLECT. He is one of the first to practice and demonstrate the value of bringing truly integrated communications solutions to his clients.